Bilingual poet Doireann Ní Ghríofa presents a series of new poems, where each poem ignites a fire. In a live performance of poetry with sonic landscape by internationally-acclaimed composer Linda Buckley, these poems will enact a series of burnings, with wild, immersive sounds sparking against the poetry of crackling, fizzing fires. There’s a well-known maxim that says all art aspires to the condition of music. If true, then poetry surely comes very close to meeting it. Indeed, Irish poets and musicians have always cast a particular spell on each other. 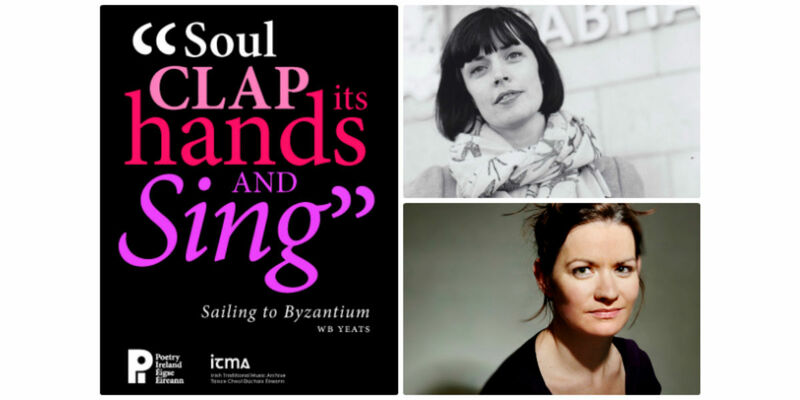 “Soul Clap its Hands and Sing,” a new series of music and poetry events presented by Poetry Ireland in partnership with the Irish Traditional Music Archive, will offer audiences a chance to enjoy some of the finest artists in both forms as they weave in and out of each other's work.